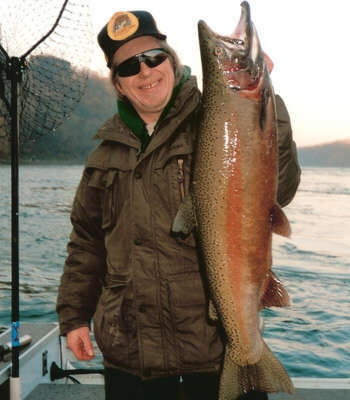 The date was October 19, 2003 when Dave Adams was fishing on the Upper Niagara River. 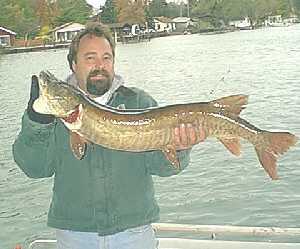 He was fishing a perch colored stick bait when he caught this magnificent Muskellunge. This fish weighed 14 pounds was 37 inches long. 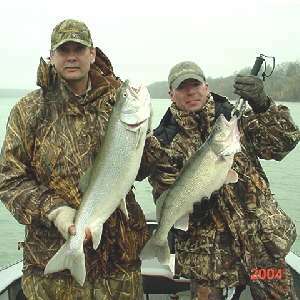 The upper Niagara River offers some excellent fall fishing for musky, bass and walleye. 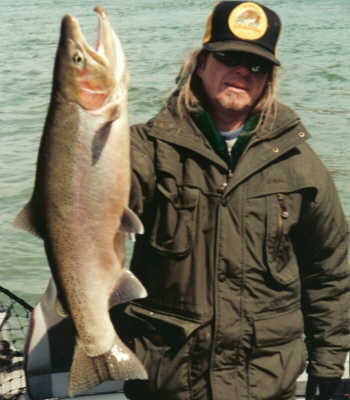 Pictured here is James Cleary from Big Flats NY he was fishing on the Niagara River. 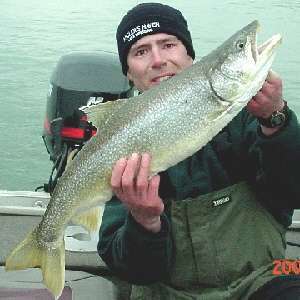 That's when he caught this rather large Lake Trout That weighed over 17 pounds. 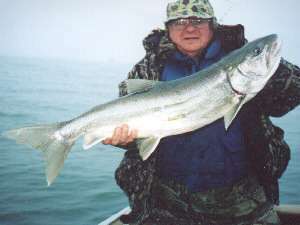 This fish was taken on the Niagara Bar in December of 2002. This fish took a bass minnow on a 3 way rig while drifting in about 20 feet of water. This was the first fish of the day what a way to start any fishing trip.